The highly-anticipated 3D making video of Super Star Rajinikanth and maverick director Shankar’s high budget sci-fi thriller, 2.o, was unveiled this evening and it left movie lovers across the country in awe. The video showcases how some of the finest technicians from around the world are collaborating to offer a never before visual experience. Another highlight in the making video was Rajini’s voice-over. The Super Star said he assures everyone that 2.o is not less than any Hollywood 3D film. 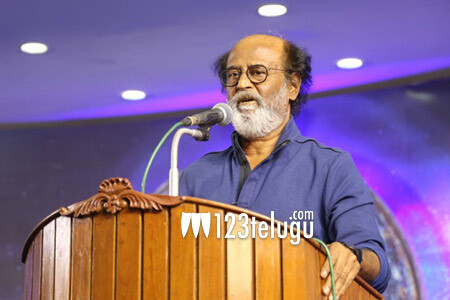 Rajini further said he is waiting to see audiences’ reaction. 2.o’s post-production work is going on in full swing at the moment. The film will be hitting the screens on January, 25, 2018 in Telugu, Tamil and Hindi simultaneously. Akshay Kumar and Amy Jackson will be seen in important roles in this movie. Lyca Productions banner is bankrolling the movie with a whopping 450 crore budget.